One of the key drivers of the world's climate is an area in the North Atlantic Ocean where warmer and colder water mix and swirl. When scientists went for their first close look at this critical underwater dynamo, they found they were looking in the wrong place. 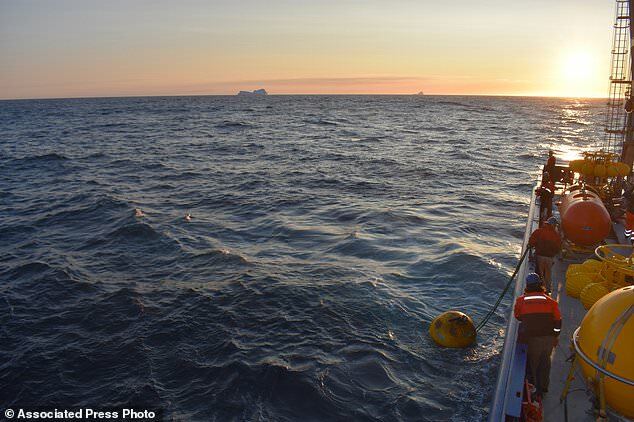 In this September 2018 photo provided by researcher Isabela Le Bras, mooring for measuring equipment is recovered just offshore of Greenland in the early morning with icebergs visible in the background. Scientists were studying the Atlantic Meridional Overturning Circulation (AMOC), a circulation of warm and cold waters that stretches from around Greenland south to beyond the tip of Africa and into the Indian Ocean. The consequences are not quite yet understood, but eventually it could change forecasts of one of the worst-case global warming scenarios - still considered unlikely this century - in which the mixing stops and climate chaos ensues. It's called the Atlantic Meridional Overturning Circulation , and scientists describe it as a giant ocean conveyor belt that moves water from Greenland south to beyond the tip of Africa and into the Indian Ocean. Warm, salty water near the surface moves north and mixes with cold, fresher water near Greenland. As that water cools and sinks it drives a slow circulation of the oceans that is critical to global climate, affecting the location of droughts and frequency of hurricanes. It also stores heat-trapping carbon dioxide deep in the ocean. The faster it moves, the more warm water gets sent into the depths to cool. The area where warm water turns over in the North Atlantic is considered to be the engine of the conveyor belt. 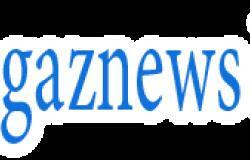 Scientists thought it was in the Labrador Sea west of Greenland. When it comes to regulating global climate, the circulation of the Atlantic Ocean plays a key role. 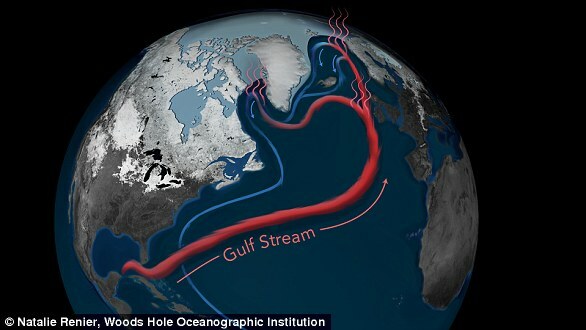 This is due to a constantly moving system of deep-water circulation often referred to as the Global Ocean Conveyor Belt which sends warm, salty Gulf Stream water to the North Atlantic where it releases heat to the atmosphere and warms Western Europe. This motion is fuelled by thermohaline currents - a combination of temperature and salt. It takes 1,000 years for water to complete a continuous journey around the world. Researchers believe that as the North Atlantic began to warm near the end of the Little Ice Age, freshwater disrupted the system, called the Atlantic Meridional Overturning Circulation (AMOC).